2, Accuracy:0.3%;Control:Normal PID and Fuzzy PID Auto-tuning function,accuracy and reliable. mode: high value,low value,upper deviation,down deviation,in or out of interval,breakage. 4, 2 isolated PID for heating and cooling at the same time. 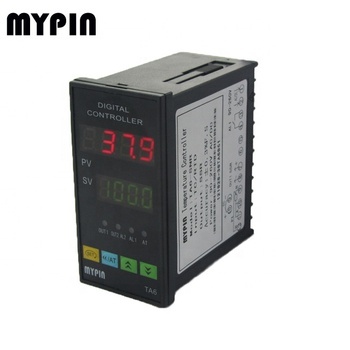 5, Step-type control,heating/cooling PID,temperature,pressure,level,flow control fuctions available. oven,furnance, plastic extruder heating process etc.. In addition to supply MYPIN brand products, We have successfully cooperate in more than 20 domestic and international customers on OEM basis, and provide customer PRIVATE brand services so as to achieve mutual benefits and the exchangeof needed goods. you are welcome to contact us at any time, we are ready to offer you the immediate answer. .